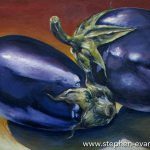 For Bondi-based landscape and still-life artist Stephen Evans there was never any question that he would follow anything but a creative path. 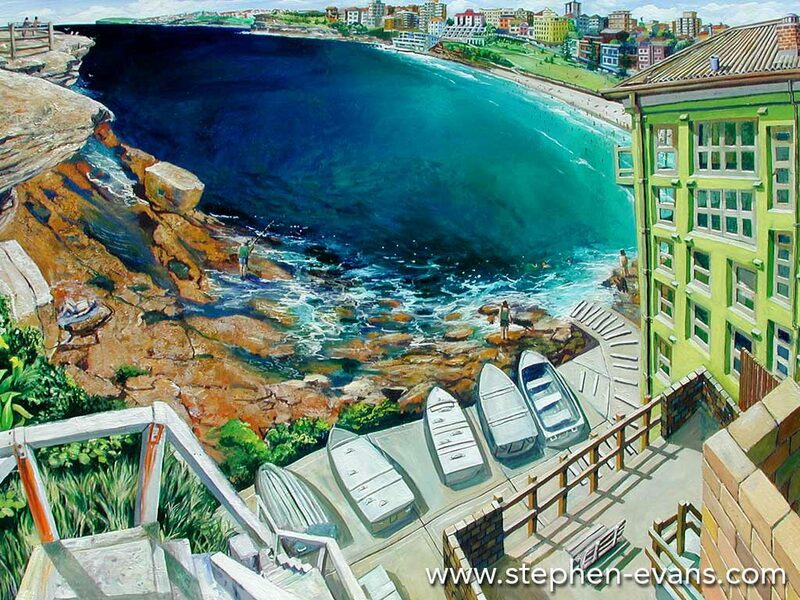 Stephen’s sense of humour and passion for all things creative shine through his quirky Sydney oil paintings. 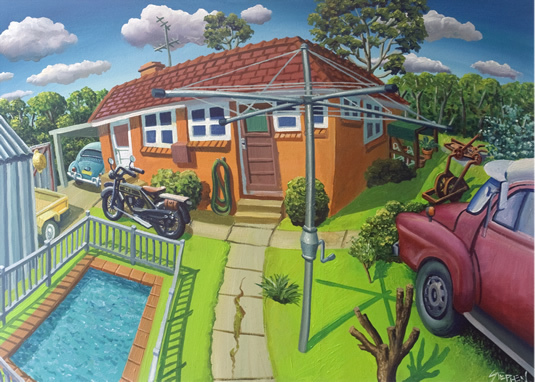 These capture the essence of his laidback landscape, immediately engaging, stimulating and provoking the viewer with their direct, bold style. 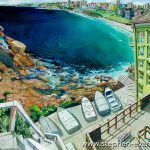 Passionate about painting and about Sydney and Bondi in particular, Stephen creates unique, distinctive landscapes with technical brilliance and bold use of colour, light and form. 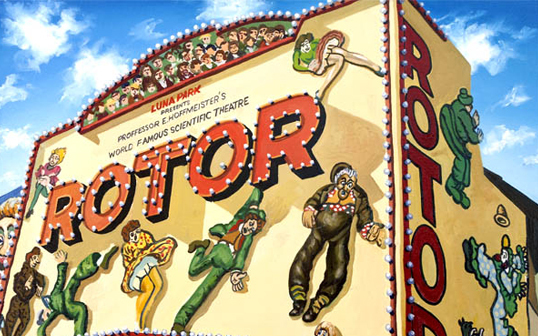 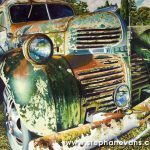 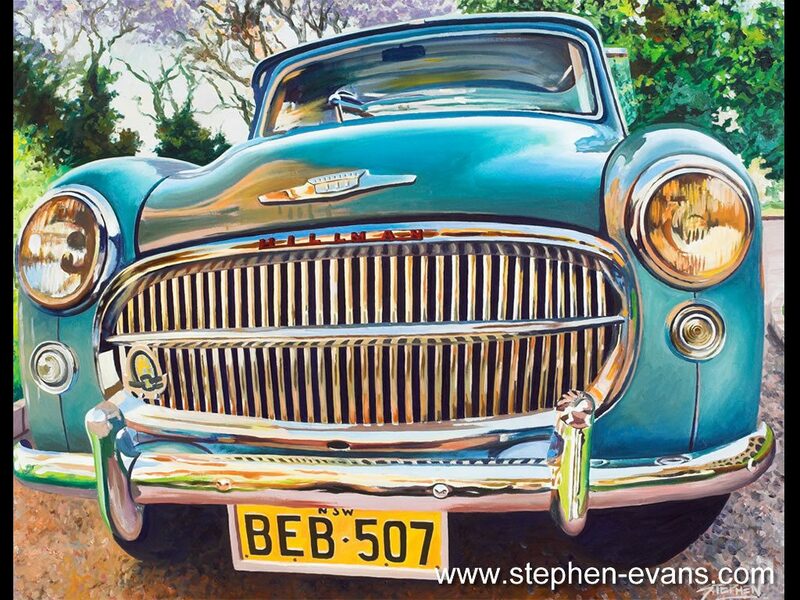 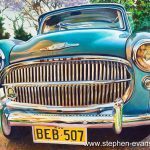 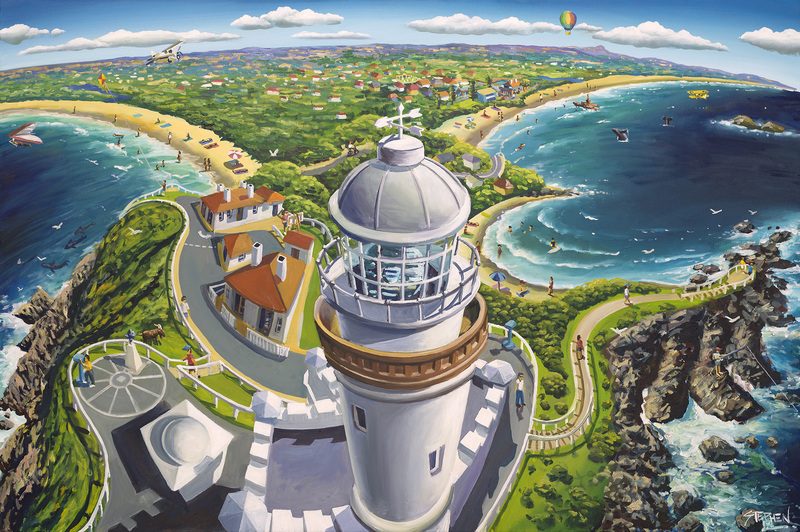 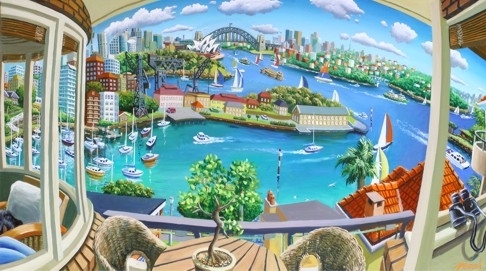 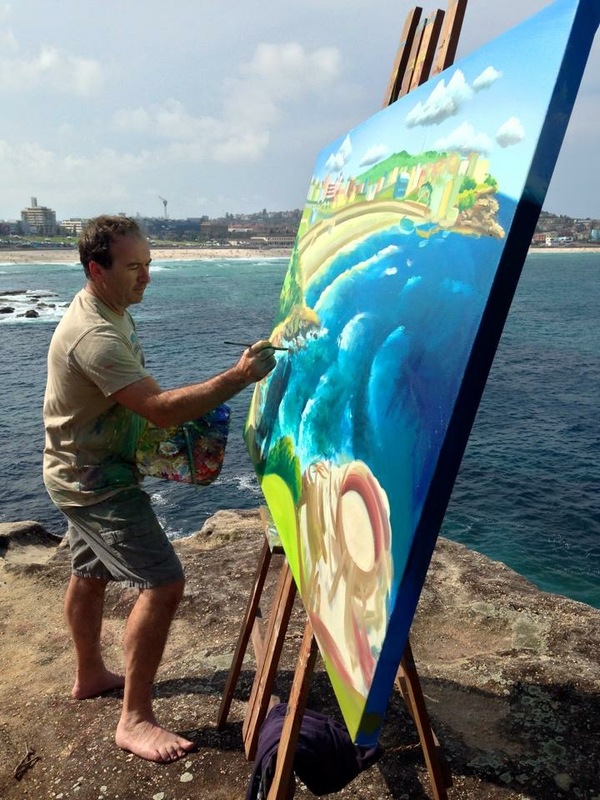 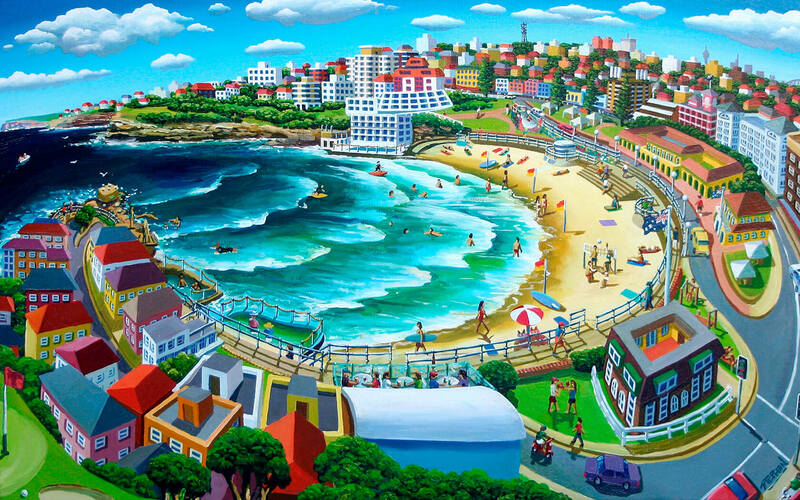 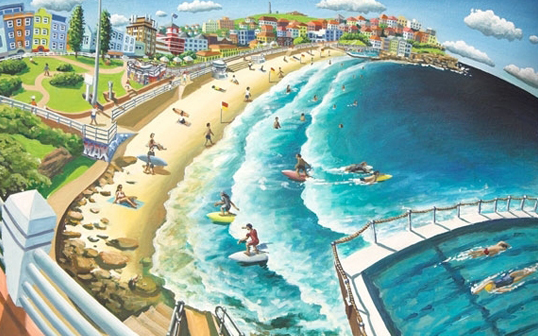 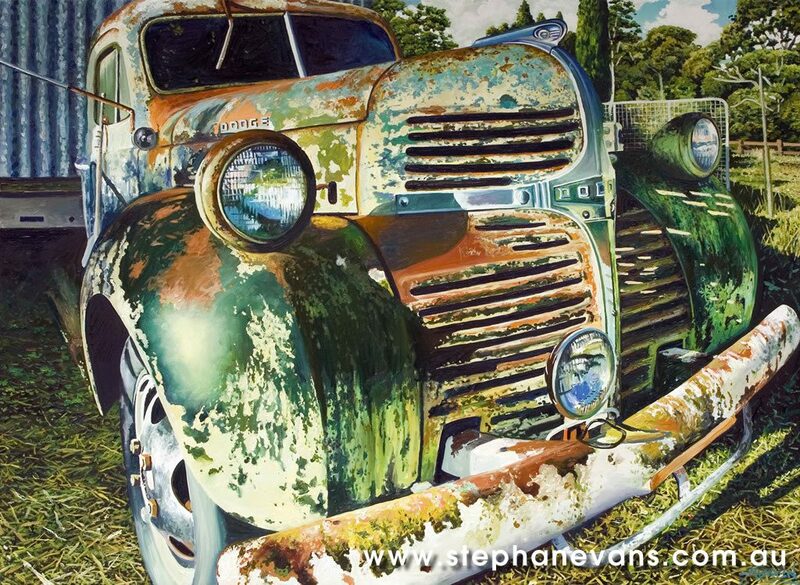 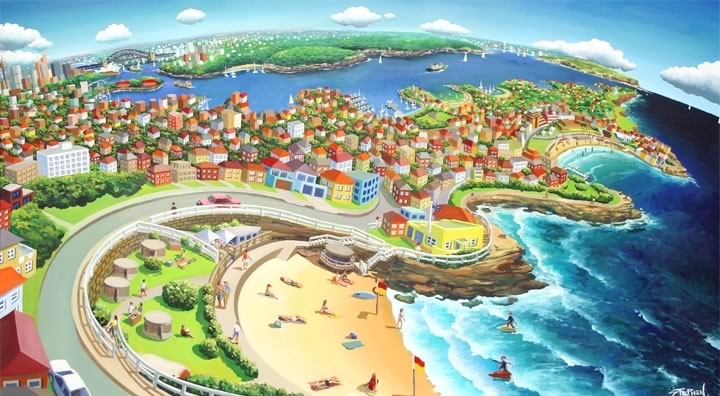 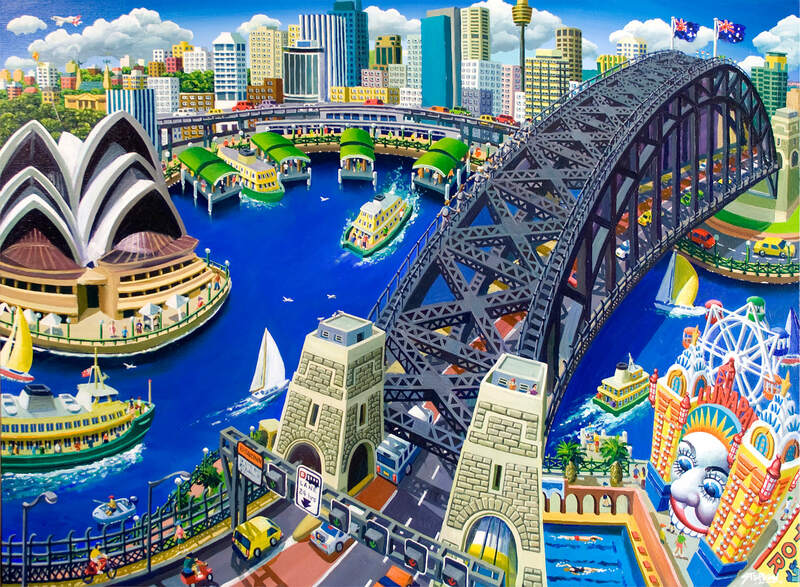 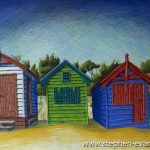 Stephen’s Bondi paintings, commissioned paintings of Sydney, Stephen Evans prints and Stephen Evans rusty and classic car paintings – with their vintage themes – are much sought after worldwide. 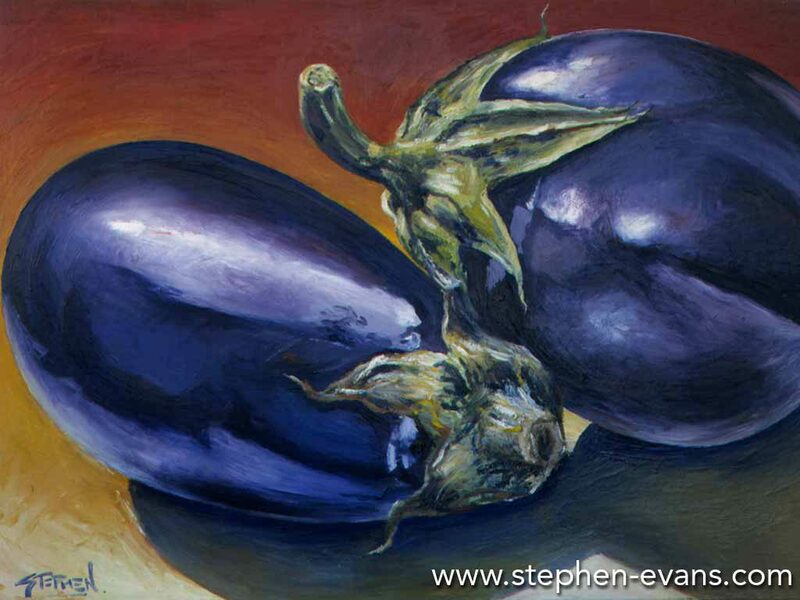 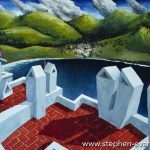 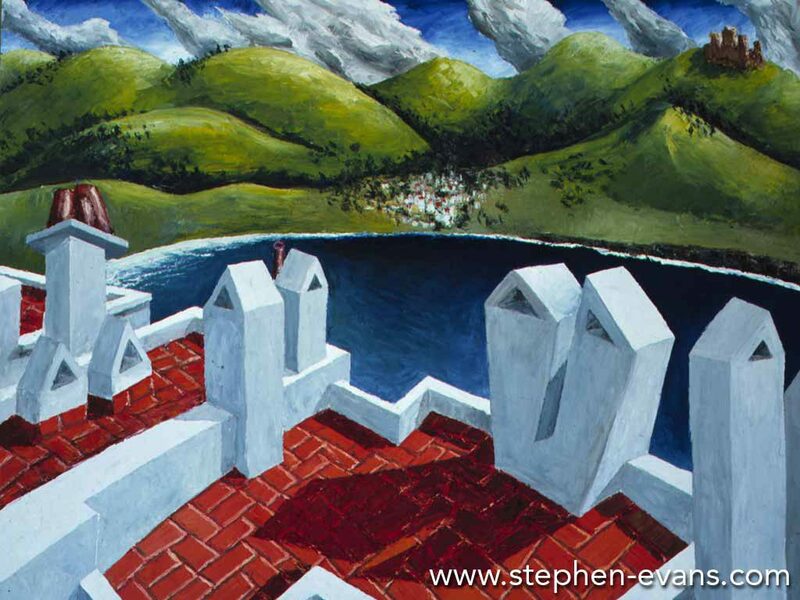 Whether it’s a beachscape, landscape, floral still life, mural, subject or even a desktop image, Stephen’s unique style and fresh approach really define his work. 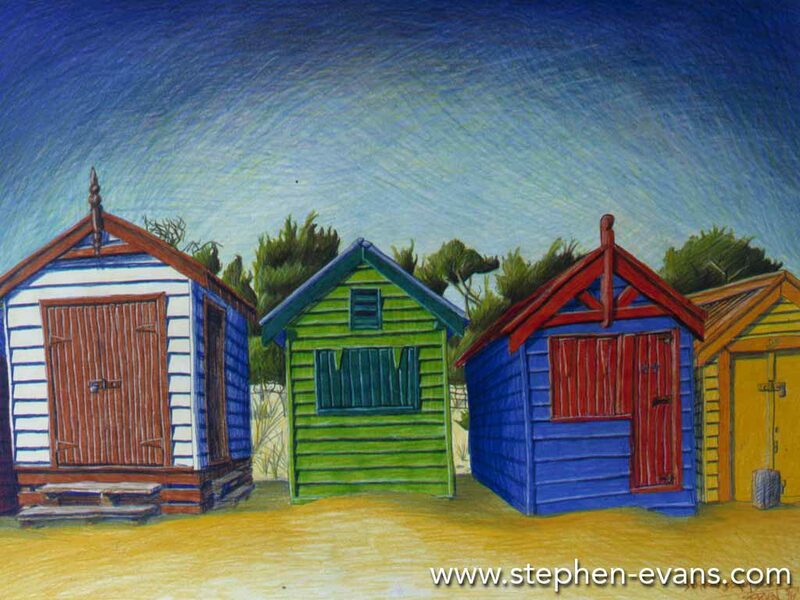 Bondi-based Stephen Evans is one of Australia’s iconic landscape and still-life artists.